To seek. To serve. To strive. 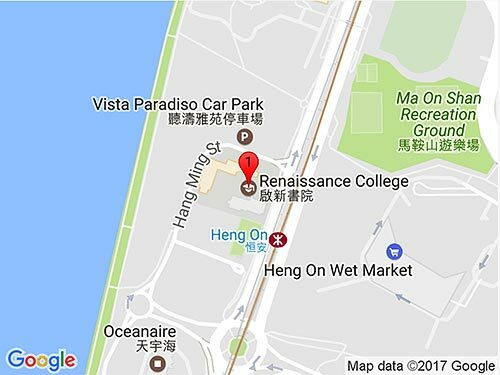 Renaissance College Hong Kong (RCHK) is a student-centred independent school. Through a rigorous and holistic curriculum, the college will develop global citizens who strive for excellence, appreciate the aesthetics and are empowered to take progressive action. RCHK strives to build a culture that promotes peace and democracy, values diversity and works towards a sustainable future for all. Renaissance College frames internationalism through its “Bedrock Principles” to illustrate who we are as a college community, and what we intend to accomplish together. RCHK is committed to creating an environment where all learners are global citizens who embrace diversity, are confident with change and possess a healthy sense of self. This internationalism is informed by our educational programme and demonstrated in the action we take and the engagement we have with others through language and technology fostering greater intercultural understanding. To cultivate an inclusive community that values positive relationships and enables students and staff to flourish. To foster a love of learning through an adaptive curriculum that nurtures creativity. To connect learning through opportunities for pursuing action, outreach, fieldwork, and authentic learning experiences in the local and international communities in order to make the curriculum relevant and service to others genuine. To transform learning and teaching through the integration of technology.